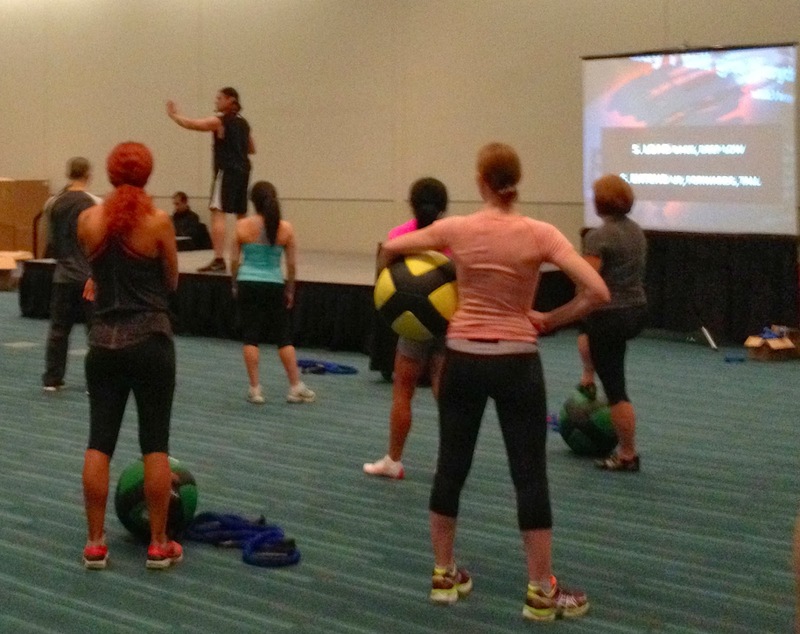 1) Peter Twist - A sport conditioning guru who started Twist Conditioning in Vancouver. I have completed all of the Twist advanced sport conditioning certifications and it was awesome to see the founder live in action. He was smart, passionate and very humorous as a presenter. Throughout the weekend, I did a few of his sessions and they were all excellent. 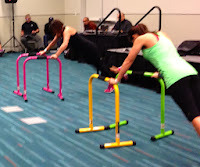 2) Mini-bands - What a great little tool to add resistance to basic movements! They are similar to tubing in that they add elastic resistance in the shape of small bands (hence the name, mini-bands!). I bought a set and will be incorporating them into my group fitness classes and using them with my personal training clients - beware...some of the exercises are quite nasty! 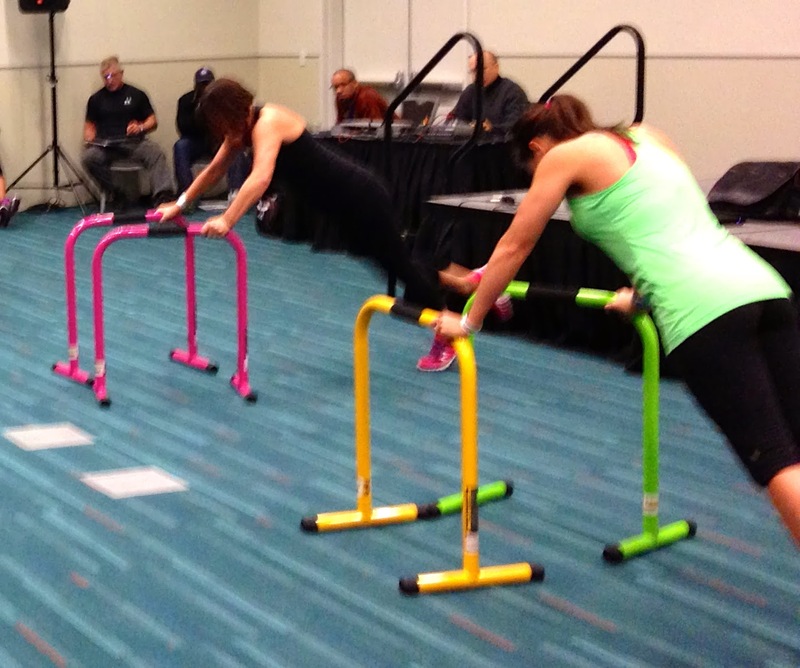 3) Equalizer Bars - These were a metal apparatus we used in our session on advanced body weight training for athletes. There were a ton of exercises you could do and they were an easy way to add 'pulling' exercises into a body weight routine. Tough stuff. 4) Familiar faces - Given that the conference was in Vancouver, I didn't expect to know anyone in attendance. I was pleasantly surprised when I bumped into several people from my years at UBC who are still working in the fitness industry. I also made new friends which is always fun! 5) Become a presenter - This was an information session for people who are interested in presenting at future conferences. Fingers crossed that my application will be accepted and that I too can become a presenter for the Canadian Fitness Professionals and influence other experts in the health and fitness industry.